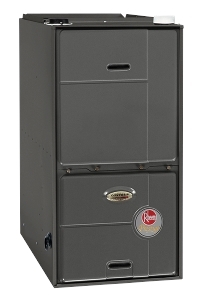 At some point in time, every residential furnace needs to be replaced. The most important thing to do when you are in need of a new furnace is to contact a professionally licensed heating contractor. At Steele Mechanical, LLC Air Conditioning and Heating, our New Jersey furnace replacement experts are here to help you with the task. With over twenty-five years of experience in the HVAC industry, our New Jersey heating contractors are some of the most skilled and capable professionals in the area. We have been so successful for so long for one simple reason. Our team is completely dedicated to providing our customers with the most customized services possible. In this way, we can achieve your complete and total satisfaction. Call Steele Mechanical, LLC Air Conditioning and Heating today if you need to hire a professionally licensed HVAC contractor to install a new furnace for you. With our assistance, you will be able to make the best choices for your home. Our polite staff can schedule your appointment today. Knowing when to replace your furnace can seem difficult, but there are some general signs and guide lines that can help. The first thing to consider is the age of your unit. If your furnace is over a decade old and in need of repairs, it may be more cost effective to replace the system entirely. If you notice any of these problems, you should contact our heating contractors to inspect your furnace. We can troubleshoot your entire HVAC system in order to determine the best ways to achieve your unique comfort goals. Whether you need new furnace installation or basic maintenance work, our team will make sure you get the heating services you need. If we determine that your furnace should be replaced, our New Jersey heating services technicians will be able to guide you through the entire process. First, we will inspect your home to determine what sized furnace will work best with you. Then we can tell you about the specific systems that your are considering. When we find the new furnace that will provide for your needs in the best fashion, our contractors can install it in the best possible manner. Your new furnace will provide your family with warmth, security, and comfort for years to come. If you would like an estimate for a furnace replacement in New Jersey, please call 609-259-3210 or complete our online request form.